Our Children and Grandchildren Deserve a Better Future. The attacks on 9/11 made many of us take a new look at the world around us. What Tony McGeorge and Pete Connors saw made them realize "they had to do something”. They started by looking at their own young families. What had happened to their lost ideals and personal responsibility to pay it forward? They recalled what it took for them to get where they were in life and decided to join forces to make a difference. 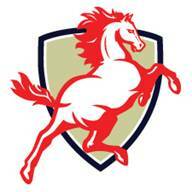 Those attacks spawned the vision and mission which became the Mustang Scholars Foundation the following year. Tony and Pete chose to nurture young leadership talent from communities where help is needed most. The Mustang Scholars Foundation helps exceptional young men and women who have risen above their economic and social disadvantages. The foundation provides financial support to selected students who would otherwise be unable to continue their education in a military environment. From its simple beginnings in 2002 more than 30 scholars have received support and the the number of active board members has increased from 2 to 9. Despite our growth there are more scholar candidates in need than we are able to help. Can You See Yourself Joining This Band of Like Minded People? We've barely scratched the surface of need. And it’s not just financial. Mentoring scholars and challenging them to excellence remains our number-one priority. We need people like you to multiply our efforts and serve our scholars better. Leaders in other regions are hearing about our work and want to know more about duplicating our efforts. Strategic thinkers, goodwill ambassadors and scholar mentors are invited to learn more. In the military, the name 'Mustang' has been reserved for a select few. A "Mustang" is a person who by strength of character, ability and discipline, rises through the ranks of the enlisted to become a commissioned officer. Our scholars exhibit the character, intellect, promise and dedication to be "mustangs" in both life and citizenship. the "Mustangs" of our community. Find Out How to Partner with Us on Our Mission. I would love to tell you all about our work. Call me, Pete Connors at 1-610-901-0015 or email me here.